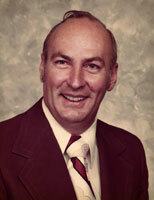 Bob passed away peacefully with his loyal and loving wife Patricia by his side on September 8, 2012. Bob was the son of the late John G. and Florence Myers Rylee. Known for his quick wit, charming personality and great moral character, Bob could bring a smile and a laugh to almost anyone. Bob served in the US Army, was a dedicated representative for Yellow Freight, a tender loving Husband, Father and Grandfather. Bob will be sorely missed by all. “A one of a kind.” Surviving relatives include Patricia F. Rylee (wife) Brian R. Rylee (son) Jonelle Lauver Partner to Brian, Derek B. Rylee (grandson), Patrick Rylee (brother) and Glady’s Cook (sister) Services are private, however relatives and friends can share condolences through our website. I worked with Bob for a few years before he retired at Yellow Freight and we had some great laughs together. Recently we have met as a group from Yellow for lunch and it has been good to know him. May God give you grace and peace in this loss of your loving partner and husband. Our thoughts and prayers are with Pat and Brian, Bob was a true gentleman and a wonderful inspiration to us. Pat-Bob and I worked together 20 years and had many, many fun times and laughs as you know. Bob’s smile and infectous laugh will be missed (perhaps not ALL his jokes though). I am smiling and not crying at the thought of him as that was how he always left me so please accept my heartfelt condolences. Sending condolences to all of you, I knew Bob when he called on FW Woolworth in Denver PA. I was the receptionisht there many years ago. He was one of the nicest salesmen …We had chats while he was waiting, always a story and always a smile…..then I meet Brian and he kept me up to date on Bob, I have kept him in my prayers…. God saw he was getting tired, and a cure was not to be so he put his arms around him and said come with me. With tearful eyes you watched him fade away…God took Bob to prove to us he only takes the best. He will be sadly missed by a lot of folks…. Pat,Brian,& Jodie, Bob will be missed by many and most will be the unnamed pereson that he made friends with in business, sat next to and chatted with at malls, places you went to dine, and in the stores you would shop at. His smile, his wit, and some of his stores will be missed, and shared no more. The next time the boys from Yellow get together for lunch there will be more than one story told that tells of something that Bob did or said. There is place for him in our hearts and he will be remembered as a dear friend, and companion. Know that many will support you in the coming weeks with prayers, and concern for your well being. Just learned of Bob’s passing. I am so very sorry for your loss; it’s everyone’s loss, too. Bob always made us laugh, no matter how bad a day that HE was having. I always left smiling and feeling good about everything. A true gentleman, he always made sure that his family and guests came first. So many good memories of the summer parties, the pool, Brian’s antics and your unmatched hospitality. Jean and I have been in San Diego since late June. This is my last stop before I retire next year. I will always keep you, Bob and Brian in my weekly prayers. I know that this has been a difficult time for you, but rest assured, Bob is in a better place watching over all of us!